Alex & Rose are Todd’s great great grandparents, the parents of his great grandfather Franklin Edgar Gray. 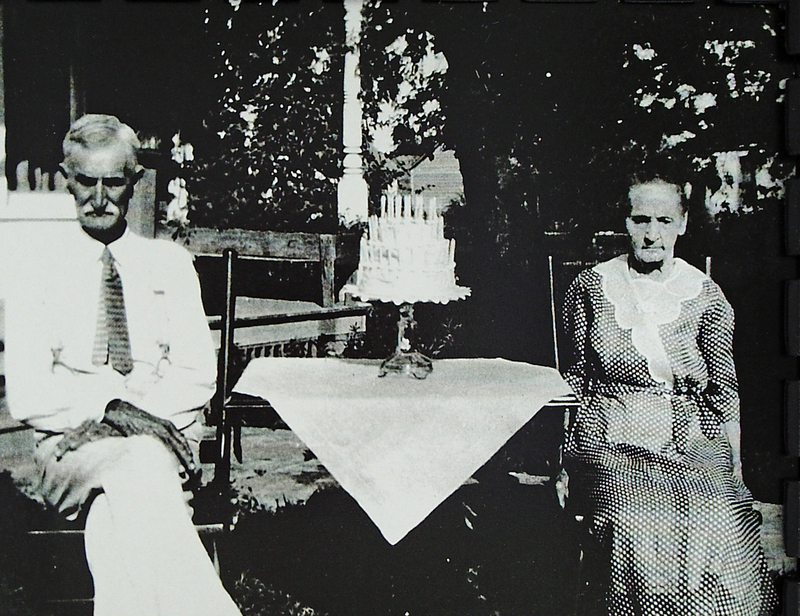 Alexander Gray was born on June 24, 1856 in Buchanan County, Missouri. His parents are Franklin William Gray & Judah Arena Parrish. I wrote about them here. He was the 4th of their 6 children. Rose Althea Browning was born on August 25, 1854 in Holt County, Missouri. Her parents are Elias William Browning and Anna Elizabeth Galloway. I wrote about them here. She was the 2nd oldest of their 15 children. On the 1860 US Census, Alex was 4 and lived with parents Franklin, age 38 and Judah, age 36, farmers in Buchanan County, Missouri. Other siblings in the home were William age 12, Benjamin, age 10, and Simeon age 8. 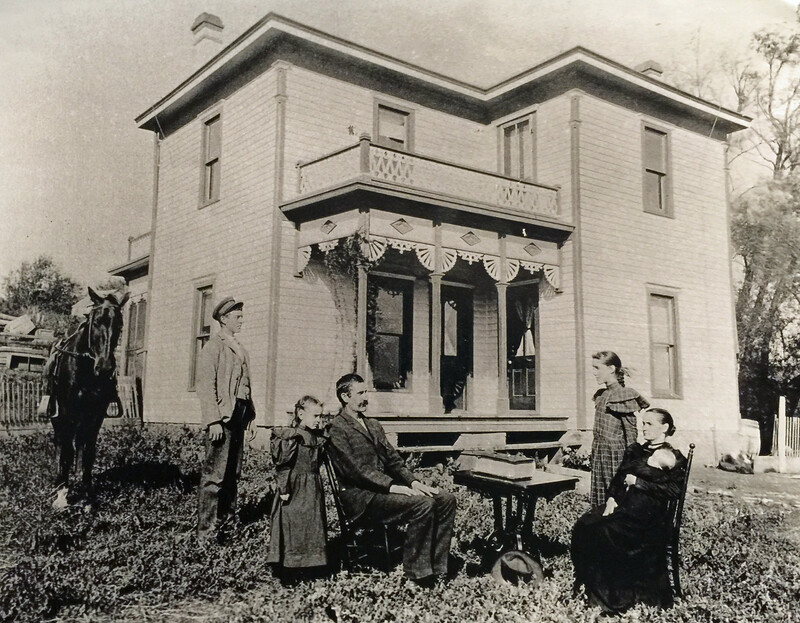 Others in the house were Martha Wiese, age 17, and William Cooley, age 45, a traveling merchant from York State. Rose was 5 and lived with parents Elias, age 28 and Elizabeth, age 25, farmers in Holt County, Missouri. Other siblings in the house were John Francis, 7, Louisa Jane 4, William Allison 3 and Isabella, age 3 months. Both of Alex’s parents died in 1864. On the 1870 US Census, Alex was 13 and lived with his uncle Simeon Parrish and family. His brother Simeon, age 17, also lived with them. His sister Sarah, age 10, lived with her uncle Robert Wadsworth Holmes. I haven’t found brothers William Linsey Gray and Benjamin Franklin Gray in 1870 but they were 22 and 20 by then. On the 1870 US Census, Rose was 16, her father William was 39, and her mother Elizabeth was 36. John Francis was 17, Louisa Jane was 14, William Allison was 12, Isabella was 10, Florence Letta was 8 and Emma was 1. They were in Holt County and Elias’ occupation was “labour.” It had been a rough year for the family. Two sons, James M., born in 1864, and Robert Lee, born in 1866, died within 5 days of each other in May of 1870, and daughter Kitty (Robert’s twin, born in 1866) died that year too, sometime prior to August when the family was enumerated on the census. Their son Franklin Edgar was born in 1878. On the 1880 US Census, Alex, age 24, and Rose, age 26, were farming in Atchison County, Missouri, right next to Alex’s brother Simeon. Son Franklin Edgar was 2. Daughter Lula was born in 1881, and daughter Bernice Erma was born in 1889. On the 1900 US Census, Alex was 43 and Rose was 45. They had been married for 23 years, and Rose had given birth to 4 children, 3 living. Daughter Lula was 19, and daughter Erma was 10. Son Edgar, age 21 and a newlywed, was in the next house over, with wife Maude. They were all farming in Holt County, Missouri. Daughter Orpha Evelyn was born and died in 1894. On the 1910 US Census, Alex was 54 and Rose was 55. Daughters Lula, age 28, and Erma, age 21, lived at home. Alex was farming and Erma was a teacher at a rural school. On the 1920 US Census, Alex was 63 and Rose was 64. Daughters Lula, age 38, and Erma, age 30, lived at home. Lula was a saleslady at a drug store and Erma was a telephone operator. On the 1930 US Census, Alex was 73 and Rose was 75. Daughters Lula, age 48, and Erma, age 40, lived at home. None were employed. Rose died November 30, 1938 in Craig, Missouri. Her Find A Grave memorial is here. The family was enumerated on the 1940 US Census on April 20, 1940. Alex was 83 and daughter Erma was 51. Neither was empoloyed. Alex died on December 31, 1940 in Craig, Missouri. His Find A Grave memorial is here. Franklin Edgar Gray – Franklin is Todd’s great grandfather. You can read more about him here. Lula Gray – Lula was born on May 4, 1881 in Craig, Missouri. She married Allen Elisha Bowersox sometime after 1930. She died February 1, 1973 in Fairfax, Missouri. Her Find A Grave memorial is here. Bernice Erma Gray – Bernice was born on October 25, 1899 (I believe the Social Security Index is incorrect in saying she was born in 1888). She died on January 21, 1981 in Craig, Missouri. Orpha Evelyn Gray – Orpha was born on February 17, 1894 and died on November 12, 1894. Her Find A Grave memorial is here. Under the Postcard & Letters category, you’ll find many postcards written to this family by friends and relatives, and some they wrote to each other. 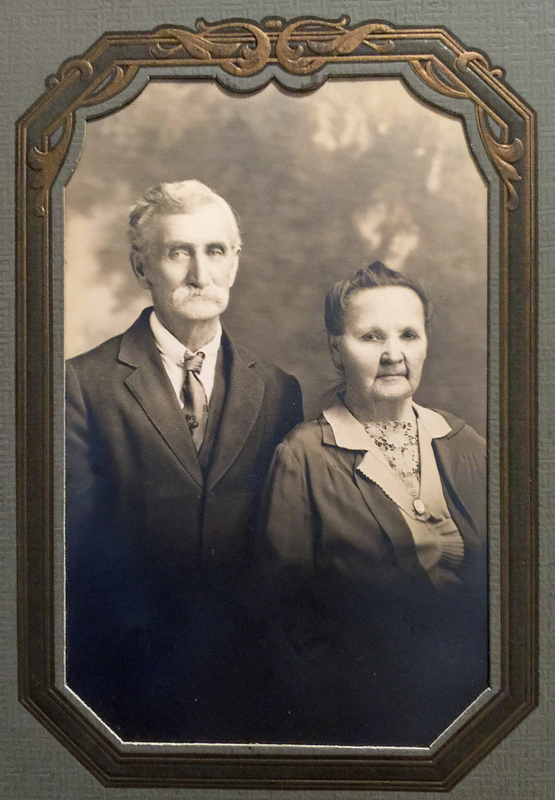 This entry was posted in Gray Family History and tagged Alexander Gray, Allen Elisha Bowersox, Benjamin Franklin Gray, Bernice Erma Gray, Elias Willliam Browning. Anna Elizabeth Galloway Browning, Franklin Edgar Gray, Franklin William Gray, Judah Arena Parrish Gray, Lula Gray, Martha Wiese, Orpha Evelyn Gray, Robert Wasdworth Holmes, Rose Althea Browning Gray, Simeon Gray, Simeon Parrish, WIlliam Linsey Gray by fillinginthefamilytree.com. Bookmark the permalink.